Detachable design, easy to use. Durable ABS material, simple design, stylish and practical. It can hold pot cover, dish, plate, etc. Easy to drain water, make your kitchenware dry and sanitary. 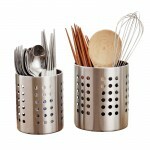 Saving space, make your kitchen more tidy. Can be placed any size of plate, and help to keep the environment clean.